The experience economy – a term that has been around for a while. In fact, it was first mentioned in 1998 by B. Joseph Pine II and James H. Gilmore in a Harvard Business Review article of the same name stating “as goods and services become commoditized, the customer experiences that companies create will matter most”. Fast forward twenty years and the sentiment rings true. Today, people are increasingly investing in themselves, crafting their life and status through what they do, not what they own. Consumer purchasing is now more influenced by the experiences provided by a brand than product itself, and there is plenty of research to show that we derive more enjoyment from purchasing experiences than physical products. Over the past few years, the US alone has witnessed a tectonic shift in spending with 4x more spending devoted to experiences rather than physical goods – material goods are simply not as valued. While the experience economy is a phenomenon that might have been around since the mid-1990s, it’s more recent burst into the mainstream came about through a perfect storm. 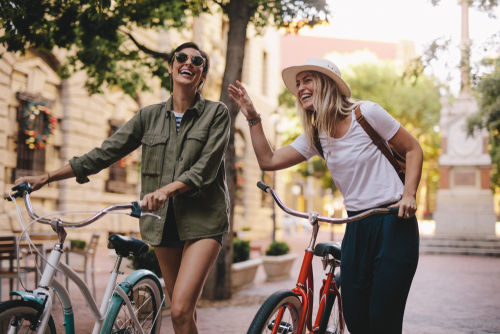 Millennials have been credited as the ignition source of driving an “experience economy,” by placing a greater value on time spent with friends and family than material goods. This mindset just happened to coincide in parallel with the rise of smartphone technology, iphoneography (yes, that’s an actual word!) and social media on-the-go which fueled a rapid rise in the valuing of experiences over things. According to a 2017 Adobe Digital Index U.S. Working Millennials Survey, 70% of this generation value experiences over things, and 86% say they don’t want to miss out on life experiences. So, what does this mean for hoteliers? The concept of consumers spending money on experiences rather than material possessions is particularly relevant to the travel and tourism industry. When it comes to millennials, they have the most spending power of any generation before theirs, with an estimated $200 billion per year spend, and $10 trillion lifetime spend as a generation. They are a generation that travel more frequently – 70% say that funding travel is a key motivation to work, second only to paying for basic necessities. Not only that, but according to Mintel, millennials are surpassing previous generations in travel spending and are blurring the lines between traveling for work and for pleasure. Showcase all things local: Hoteliers should market their hotel as an experience, and a part of a vibrant local community. Original artwork, design that matches local cultures, and homegrown dishes and beverages that reflects the local community in which guests have travelled, all lend themselves to a unique guest experience. Similarly, you should highlight and promote the surrounding areas, put together suggestions of places where people should eat, drink and activities they can take part in. Think of the off-the-beaten path places you and your staff would go; neighborhood walks, local eateries, hidden parks, unexpected landmarks. CitizenM is one such hotel group that markets itself as a new kind of hotel, dedicated to “drowning hotel clichés.” The blog focuses on “The city’s best bits, explored by us.” And their guide for New York they have details on places to eat and drink, avoiding the commercial tourist traps and where the best place to get an authentic craft beer in Brooklyn. Guests want to explore and experience the local area, the opportunity to stay at a hotel that lends to that experience makes the stay even more appealing. Create Personalized Interactions: A hotel’s personalization of service is also key to creating an unforgettable experience for guests. 3 in every 5 Americans (59%) have shown inclination to opt for a new brand for better service experience.According to IBM, more than 70% of hotel guests report that a personalized service results in a positive stay experience. As we touched on in a previous post, by having the right technology in place, hotels can gather real-time data on their guests to understand their preferences. They can then use that information to anticipate guest needs and provide a more personalized service, elevating the overall guest experience. To top it off, according to a study by Qubit, brands that create personalized experiences by integrating data and advanced technologies are currently achieving revenue increases of between 6% and 10%. So not only will you have happier guests but a healthier bank balance too. Constructing personalized experiences that deliver more than the guest expects creates a lasting impression and a surefire way to gain loyalty. Using Social Media to Build Enthusiasm: The increasing power of social media is not to be underestimated. Travel consumers are heavily influenced by “social proof and the majority of US travelers (47%) share their hotel experience on a social network post-stay – this can take the form of anything from selfies, pictures, comments, videos etc. Potential guests then use this information to figure out where they’re visiting next, what they’re going to do when they get there, and where they are going to stay. Considering the impact of word-of-mouth advertising, as a hotelier you should get into the conversation, leverage their good times, turning your past guests into a perpetual army of experience evangelists. For critics, listen to their complaints as an opportunity to improve service and address deficiencies. Travel brands have tremendous opportunities to craft and offer experiences that resonate with the experience economy generation. Those that can deliver memorable experiences that connect with their guests, making them feel more of a participant than a check book, will win the loyalty of a mobile, social generation of consumers who can’t wait to share their experience.